what camera & lense are you using to capture this awesome photograph?? Hi Chloe, glad you like the shot. LOL, this picture just makes me laugh. Is it my imagination or does he look supremely tickled about something? Great macro shot! Hmmm? I see a smile in all creatures, some more than others. 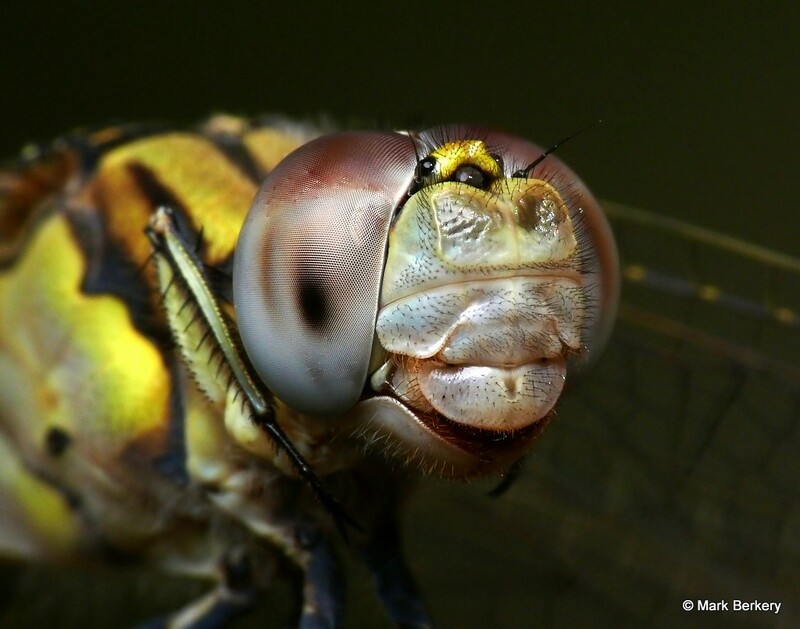 Dragonflies look like laughing sometimes though. Thanks Anna. Sci Fi comes from what we know. When I look inside I can see the psychic forms of the species we came ‘up’ through, and the magnificent intelligence behind it all. It’s part of what that biblical ‘Dominion over the Creatures of the Earth’ refers to. Such knowledge should lead to responsibility instead of exploitation. Alas! The world we live in (but are not of). I will use a Northern British expression for this shot … gobsmacked !